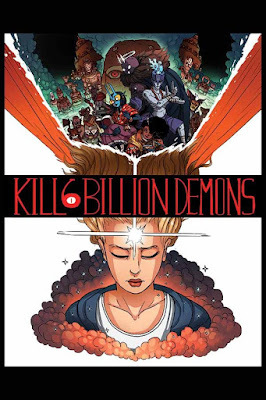 Tom Parkinson-Morgan will release the first chapter of his fan-favorite webcomic KILL SIX BILLION DEMONS in trade paperback this September 2016. KILL SIX BILLION DEMONS TP (ISBN: 9781534300149) hits comic book stores Wednesday, September 7th, 2016, and bookstores on Tuesday, September 13th, 2016, and will be available for $14.99. It can be ordered by retailers with Diamond code: JUL160811, and it can be preordered now on Amazon, Barnes and Noble, and Indigo.